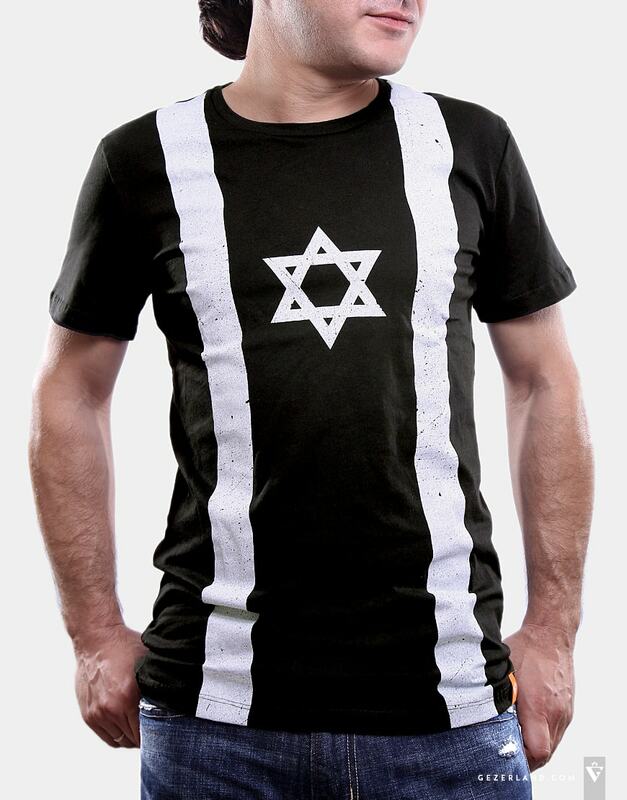 Men's black T-shirt with the national Flag of Israel. Be proud to wear it! 100% Cotton. One colour print. 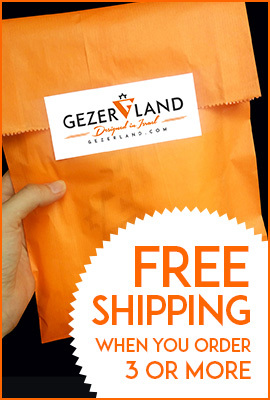 Print size: 65*30cm. Made in IsraelFlag of IsraelThe flag of Israel is a perfect embodiment of benefactors being greatly respected by the Israelites – God’s severity and divine benevolence. It depicts a dark sky-blue hexagram between two blue stripes placed on a white background. 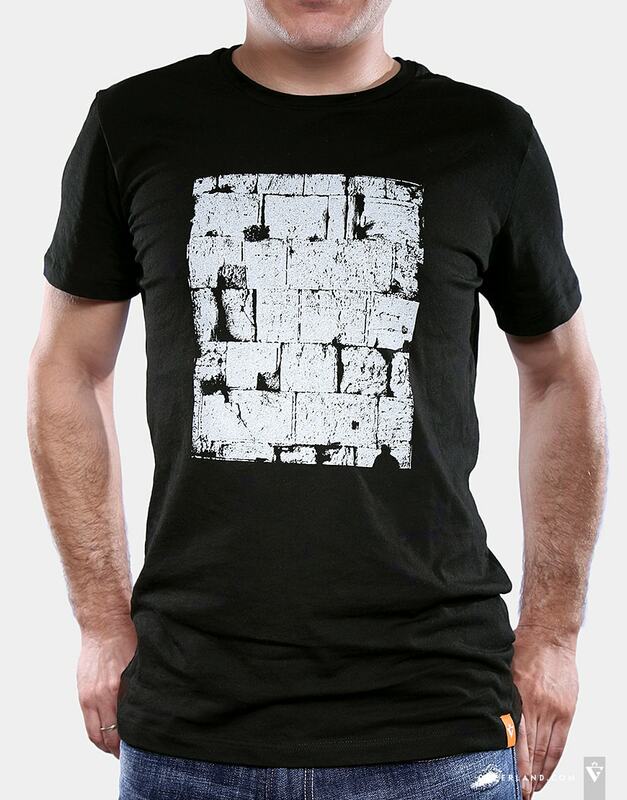 ..
Men's black T-shirt with Western Wall - the main religion symbol of Holy Land 100% Cotton. One colour screen print. Print size: 20*26cmMade in IsraelFor many centuries the Western Wall is considered to be the holiest place for the Jewish people, the place of faith and pray. The Wall is a 485 meters part of an ancient wall of the Second Jewish Temple, which was destroyed by the Romans. 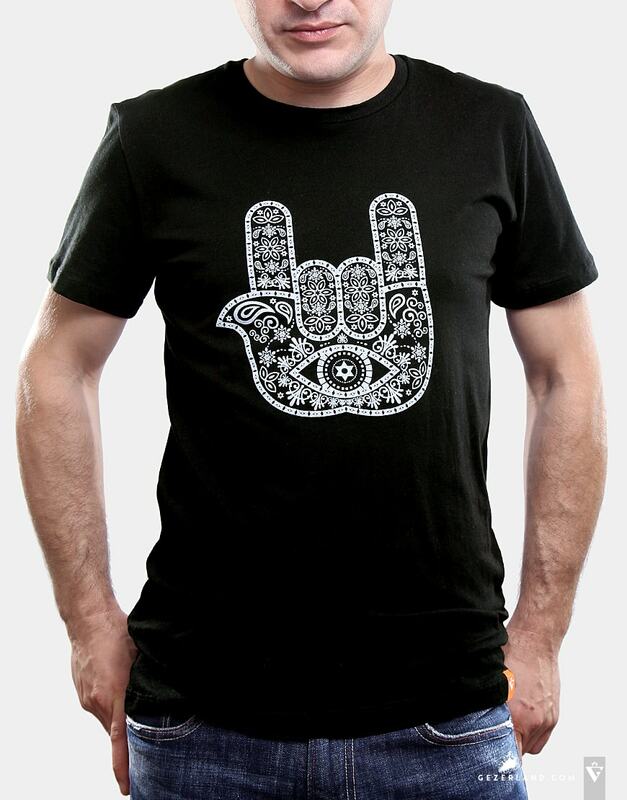 Th..
Men's black T-shirt with HamsaT-shirt with traditional symbol of Israel for people who wants to rock this life :) 100% Cotton. One colour screen print. Print size: 20*20cmMade in IsraelThe Hamsa in Jewish Traditions and New InterpretationThe Hamsa is a popular Jewish symbol, which depicts five fingers and serves as the embodiment of the God’s Hand. 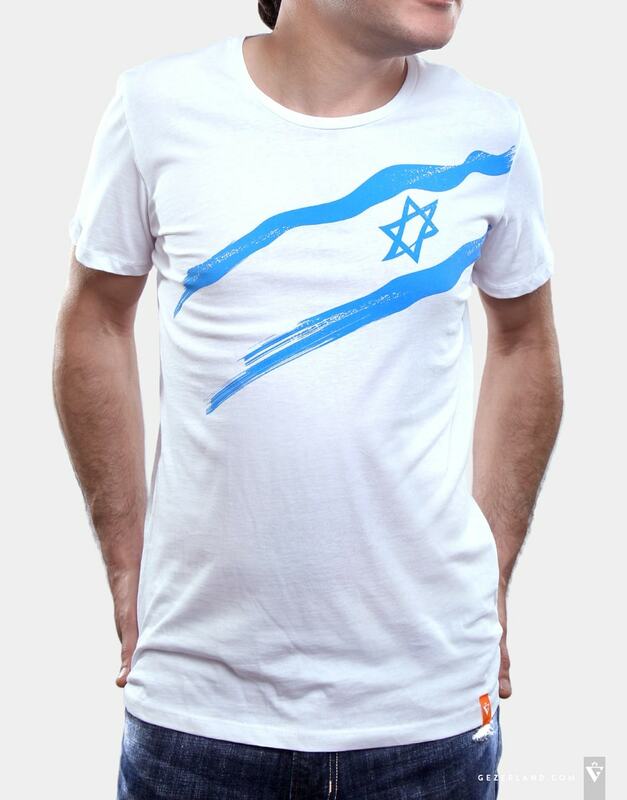 The word derived from the Hebrew word meaning ..
Men's white T-shirt with the Flag of Israel. Be proud to wear it! 100% Cotton. One colour screen print. Print size: 30*40cmMade in IsraelFlag of IsraelThe flag of Israel is a perfect embodiment of benefactors being greatly respected by the Israelites – God’s severity and divine benevolence. 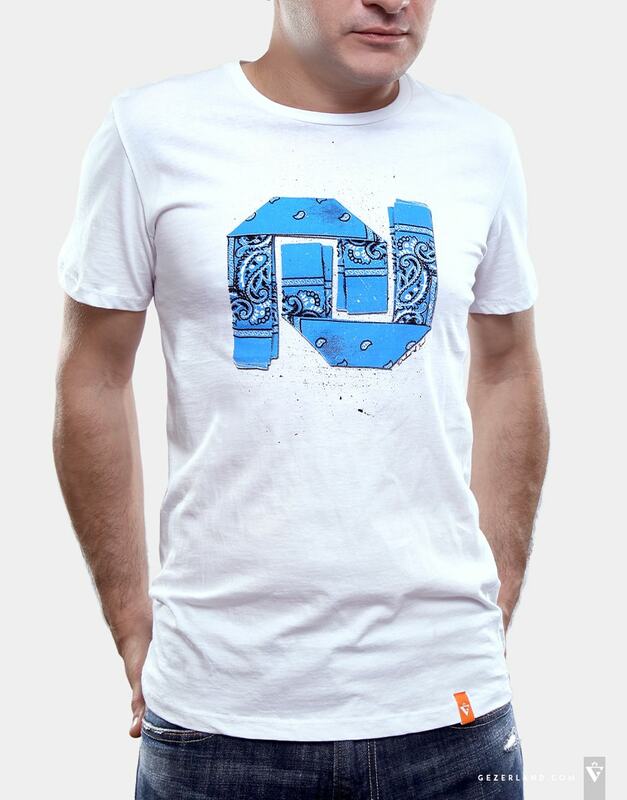 It depicts a dark sky-blue hexagram between two blue stripes placed on a white background.A unique stor..
White T-shirt with the national currency of Israel - New Israeli Shekel 100% Cotton. Two colours screen print. Print size: 20*30cm Made in Israel The Shekel in the Past and Now The shekel, which is formerly known as the new Israeli sheqel, is the currency of this amazing and great country – Israel. 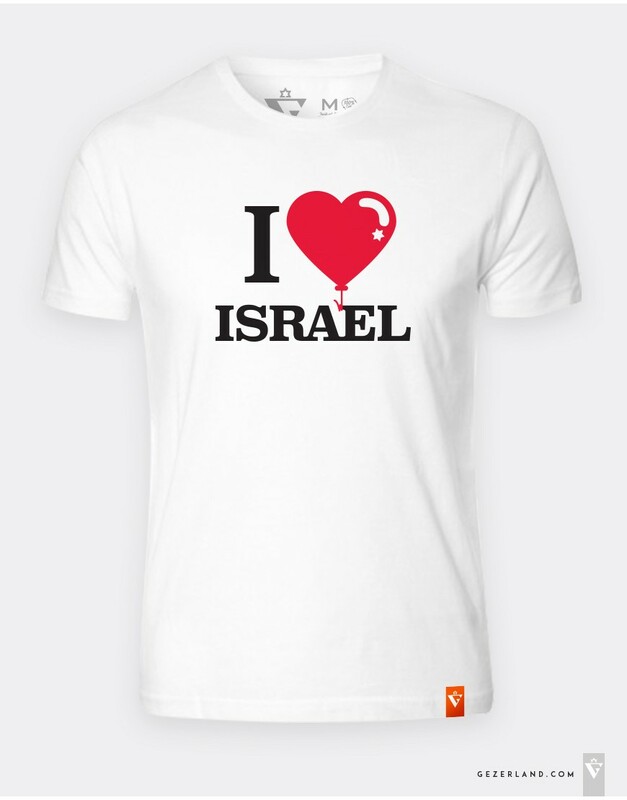 It has a long story: the first Israeli pound turned into the modern sheqel and 3 ser..
Unisex White T-shirt I Love Israel 100% Cotton. Termoprint. Print size: 26*20cmMade in IsraelFlag of IsraelThe flag of Israel is a perfect embodiment of benefactors being greatly respected by the Israelites – God’s severity and divine benevolence. It depicts a dark sky-blue hexagram between two blue stripes placed on a white background.A unique story of originThe origin of Israel flag is rooted in..